Posted on Tuesday, March 26th, 2013 at 8:00 am. Outside of the fashion corners of Paris, Milan, London and New York, it isn’t often that one comes across a Fashion Runway Showcase here in San Francisco, let alone that of acclaimed New York-based Taiwanese Canadian designer, Jason Wu. 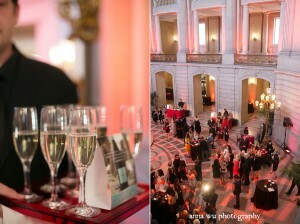 Honored and ecstatic, Creative/Editorial Director (and professional photographer) Anna Wu and myself attended to cover this fabulous event hosted by the San Francisco Opera Guild and Neiman Marcus – Union Square at the San Francisco City Hall, on behalf of TaiwaneseAmerican.org. What should we expect? How should I dress? Who would we meet? I had absolutely no idea, but I knew I was in for a pleasant surprise. 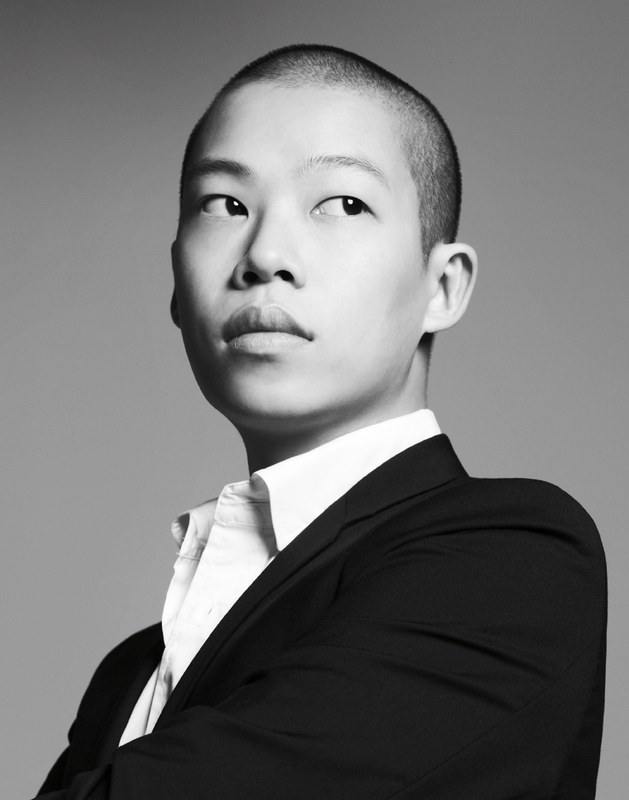 I, like many others, have heard of Jason Wu’s success as a designer particularly because Michelle Obama on many occasions chose to wear his designs at big events such as the first and second presidential inauguration of Barack Obama. (Who knows, maybe the First Lady would show up at the fashion show?) With my limited budget, however, I could never afford his high-end designer outfits. But this is what the Fashion Industry is like. Anyone, women or men, can admire the trendy creations, yet only a handful of people are able to obtain what they like. Perhaps Jason Wu sees and understands this. Through his Jason Wu for Target limited-edition collection of women’s ready-to-wear and accessories in 2012, he sought to make fashion more accessible to the everyday mainstream consumers. Perhaps this practicality is the influence of his humble Asian-Canadian upbringing. Born in Taipei, Taiwan and brought up by Taiwanese parents, Jason Wu and his family moved to Vancouver, Canada when he was nine, where he began learning how to sew, draft patterns, and sketch in fashion proportions by using dolls as mannequins. At the age of 14, he studied sculpture in Tokyo, Japan and then spent his senior year of high school in Paris, France, where he decided to become a fashion designer. Wu then moved to New York City and enrolled in the prestigious Parsons School of Design. He often finds inspiration on his travels to Asia, Europe and Latin America, and his designs demonstrate a blend of Asian and Western fashion – “merging American sportswear with old world sophistication and establishing a supremely feminine, modern sensibility.” I couldn’t wait to see what Jason Wu has in store for us at the fashion show! Founder and Director of TaiwaneseAmerican.org, Ho Chie Tsai, accompanied us to City Hall, as we were carrying two bags worth of (heavy) professional photography equipment. Anna and I walked up the front steps of City hall and, taking a deep breath, entered a world of magnificent beauty and glamour. A blend of natural lighting radiating from the floor-length windows and red spotlights from above filled the large room. The glass crystals on the chandelier in the center of the hall glistened and sparkled every so often. Anna immediately switched to photographer mode and her camera shuttered away – I couldn’t wait to see the beautiful photos she captured! While we were admiring the scene around us, servers constantly attended the guests and offered a variety of fancy and delicious appetizers that I couldn’t stop eating: ceviche, apple covered chicken and pistachio, bite-sized tacos, fried zucchini balls, and fried squash balls. Drinks were also provided at every corner, and by the end of it all, my stomach was feeling really guilty. Mingling with others who arrived early, Anna and I met a couple of media press folks who represented news sites such as World Journal. We were delighted to find a few other Asians and Asian Americans in the large crowd, though they were mostly attending as media. Perhaps this was a tipping point that signaled a new and interesting dynamic of a growing Asian interest in haute couture. Or was it symbolic of a growing Asian American interest in an Asian success story in a non-traditional field? Or maybe a little bit of both? Ten minutes prior to showtime, everyone was ushered into the runway room and took their seats. I took a few minutes to get settled in my seat and snap a few photographs here and there. Suddenly the music faded, the lights dimmed significantly, and a wave of silence filled the room. As quickly as the audience’s silence turned into anticipation for the main event, a blast of rhythmic beats and spotlights filled the room. Beautifully dressed models elegantly made their entrance on to the stage, and the show began. I was awestruck and absorbed into the beauty and sheer elegance of the runway show. My gaze followed each model as they strut their way down the aisle, posed and showed off Jason Wu’s magnificent designs, and returned to disappear behind the entrance opening. By no means a fashion connoisseur, I can only attempt at describing the high-fashion event and the amazing designs presented to us. Most of the designs in the beginning of the showcase played with black, white, and different shades of grey. Yet the sudden addition of red and blue onto the runway immediately caught my eye. Even after launching his Jason Wu for Target collection and his contemporary label Miss Wu in January 2013, Jason Wu continues to design amazing outfits that are simple yet elegant, innovative yet conservative. The fashion show was glamorous, just like on TV and in the movies. Thirty or so outfits later, the show came to an end. It was at this time that we expected to see Jason Wu briefly popping out his head with a kind wave, as he has done so in previous shows, often letting his work speak for itself. But to the audience’s pleasant surprise, Jason Wu walked half-way down the runway stage and blew us a huge kiss. (Anna claims that his kiss was directed at her. Uh huh, sure.) The audience clapped and cheered, while the media section flared into life to capture all that they could of the man we’ve all been waiting for. It was great to see Wu break out of the Asian stereotype of humility and finally embrace the spotlight! And with that, Jason Wu stole the spotlight. After the fashion show, the president of the SF Opera Guild, Karen J. Kubin, spoke a few words and introduced the fundraising aspect of the evening’s event. All proceeds and donations went towards supporting the SF Opera Guild’s award-winning music education programs for children. Two amazing live auction packets (New York Fashion Week & Opening Night at SF Opera’s 91st Season Celebration) were bid and sold in a heartbeat. In addition, thousands and thousands of dollars were raised as generous benefactors showed support for these programs. I was touched by their generosity and excited for the children that will benefit from the donations! The evening concluded with a festive cocktail buffet that was fancier than anything I’ve ever experienced. (I won’t get into the details. That deserves its own article.) 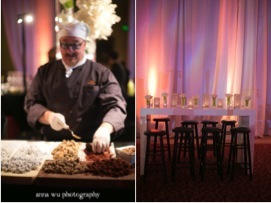 Delicious food, loud music, moody lights, gorgeous decorations – the night was definitely one to remember. Anna and I couldn’t stop taking photographs of anything and everything we came across. It was a memory we wanted to last and to share with many others! It is folks like fashion designer Jason Wu, NBA basketball player Jeremy Lin, and culinary artist Eddie Huang, second generation Asian Americans/Canadians, who draw more ethnic diversity into a variety of arenas. Their passion and dedication in pursuing their dreams are what inspire the coming generations to do the same. As intimidated as I was being one of the few Asian/Asian Americans at the fashion show, I was encouraged knowing that Jason Wu has opened doors for us and has further demonstrated that anyone can pursue the Arts. Here, Jason Wu is designing cutting-edge fashion, being judged and critiqued by an entire world of fashionistas, yet he does not falter and perseveres – how admirable! Although Jason Wu gives off the impression of being shy, quiet, and reserved in demeanor, he expresses himself in excellent work and shows an appreciation of others and their work. As with other notable Asian American designers from past to present, such as Vera Wang and Alexander Wang, the question remains as to how Wu will fare in the ever-changing fashion industry? And in the bigger picture, how will new and upcoming designers of Asian descent be received in the future by both critics and audiences alike? Perhaps only time will tell. We certainly hope for the best, and we on behalf of TaiwaneseAmerican.org are proud to support Jason Wu and all his future endeavors! Special thanks to the San Francisco Opera Guild and Neiman Marcus – Union Square for inviting us to attend Jason Wu: The Art of Fashion as media. 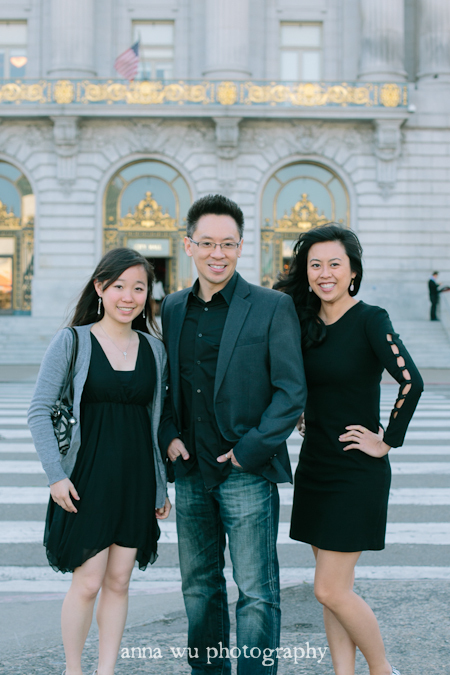 Photographs courtesy of Anna Wu Photography. Visit Anna’s blog for more photos of the event.